Superb work Dale. For us out of towners these videos are great to watch, and especially so with that Jordyn one. The lad's a star. Arrived on loan from a lower level and if it wasn't for him I've no doubt Cowden probably wouldn't be a League club this season. The games I saw at the start of the season, he looked unstoppable. He's since had his detractors but the greatest thing about the kid is that, along with his love of the occasional pie (which no-one can begrudge of a semi-pro player), he actually cares and seems to love the game, putting 100% effort in whenever I've seen him. And so refreshing watching a Cowden interview and seeing a lad laughing and smiling all the way through. 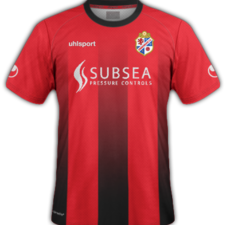 Whatever happens in the summer, and wherever he goes, for me as a new fan over the last year or so, I can safely say that Jordyn Sheerin will go down as my first favourite Cowdenbeath player. The kid's alright. Yeah man, now I've just survived a trip to the dentist, I'm hoping this friggin toothache disappears in time... and thankfully no antibiotics been subscribed which means I can crack on with the beer this weekend. Couldn't imagine attending a game sober. Think I'd fall out with football if that was the case! As for the phone, no chance pal. I'm still on my crappy one from 1984! i'll send you Blind Paul's number though (he has something that reads his texts to him... if you were wondering how he reads em), and give you a shout from me mate's phone on the Saturday morning when I'm en-route to Berwick. Think my bus should get near the station for 11 so our arrivals might coincide. Can't wait chief... just hope the weather's kind to us... which I'm not expecting after the last few games I've travelled to. The Free Trade not far from the station looks like a good first stop-off point, I reckon. Good old-fashioned pub, great name, free crisps (apparently) and a pool table. Superb. I'll be heading up on Friday and staying at a mate's in Eyemouth for a couple of nights, so hopefully landing in Berwick before midday. Any idea of what pubs you'll be heading to? Hello again fellas. I'm heading back up for the Berwick match and what well be my eighth Cowden game of the season (and ninth trip if you include the postponed Sevco Cup clash). 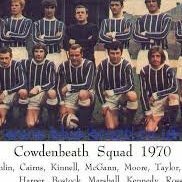 It might be my last Cowden match of the campaign, unless I can make one of the final two fixtures which is sadly looking unlikely with train prices at the moment, so I'm hoping to have another memorable day and was just wondering if many are planning to travel down for it? I know there was a bit of talk pre-Sevco that a few would be making the trip, and it would be great to meet up with as many of you as possible once more for a few pre and post-match beers. Blind Paul, who travelled with me to the rearranged cup game, is also travelling so the Cowden Reds will thankfully number more than just me, and I'm made up he's already caught the Cowden bug and making an instant return. It will also mark almost a year since my first game and, well, I didn't imagine I'd be approaching almost a dozen games already... but what a ride it's been so far! I almost feel like a proper fan now! 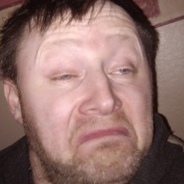 Right chaps, as Sevco boss Slippy G once infamously said, "We go again"... and this time tomorrow, I hope to be sat in the Junction having enjoyed a few drinks, after meeting Blind Paul in Dunfermline en-route, and not to be greeted with the same news as a week Friday on arrival in Fife's Chicago! And hopefully see more of you than I did last time. I'm packing the layers, hat, gloves, scarf in anticipaction for the Baltic conditions and all set for another 8.30am departure. See you again tomorrow, and... C'mon Cowden! Nice one pal, and sorry to mess you about... but hopefully all worth it in the end... when I finally get to buy you a pint! Wonderful news... I'll get that train booked. Again! Oh, frigginell... don't say that... I'll be camping in Burntisland at this rate So before I book... what extra efforts are being made to assure the same issues don't possibly arise again, and is there any official line on the likelihood/chances of the game being on or off?